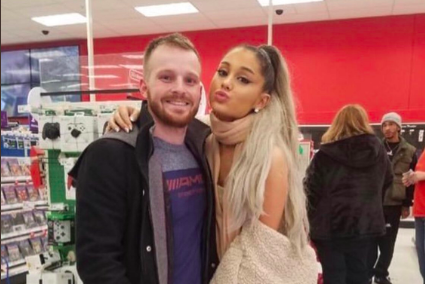 Ariana Grande was spotted with fans at a Lititz, Pennsylvania Target on Sunday. Ariana Grande is preparing for her third international tour with a few quick stops in central Pennsylvania. The pop star was spotted in Lititz, Pennsylvania, at Target and Whole Foods, meeting fans on Sunday. Grande later confirmed she was making a pit stop in Pennsylvania on her Instagram as part of preparation for her "Sweetener/Thank u, next" tour. According to fan pages on Twitter, Grande is rehearsing in the area, so she may pop up again before she leaves to start performances later this month. Grande will begin tour in Albany, New York on March 18. She'll make stops in Philly on March 26 and then again on June 24 at the Wells Fargo Center.